NOTE: This page is for processing undeveloped B&W 35mm films followed by printing or scanning. 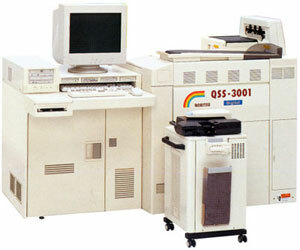 If you have film which is has already been developed, then please refer to our film printing or film scanning pages. We hand process every Black and White film so that we can select the best BW developer to match your B/W film. Printing is done on premium quality heavy weight professional Kodak paper. Our BW processing and printing service and prices are exclusive to Kodak Express Camden London . Kodak Express Camden use hi-end Digital Printers to deliver superior quality from your black and white films. Black and White film processing is done by hand, not machine. This means that the best developer can be chosen to match the film type used. All printing is done on heavy duty premium weight Kodak Royal paper. We can scan your 35mm B&W negs onto a CD. Our standard resolution scans are good enough to print to A4 and our high resolution scans are good enough to print to A3. All sizes up to A3 are available the same day.